Beyond Samsungwon Orphanage and Emmanuel Children’s Home, KKOOM continues to invest in the lives of the children who grow up in South Korean orphanages. Directly, KKOOM financially supports young adults to attend college with a 700,000 KRW (approximately $651) each semester to use towards college funds. Sunghyun (L) and Taehyun (R) playing together in Spring 2005. Photo courtesy of KKOOM’s President & Co-Founder, Aimee Jachym. Taehyun and Sunghyun grew up at Samsungwon Orphanage and started college in March 2018. Recently, they were accepted into Oak Tree Project’s college mentoring program. Oak Tree Project is a non-profit organization based in Seoul, South Korea, and its scholarship and mentoring program help Korean orphans after they graduate from high school with emotional support and financial aid. This programs keeps the students accountable and helps them succeed until graduation. 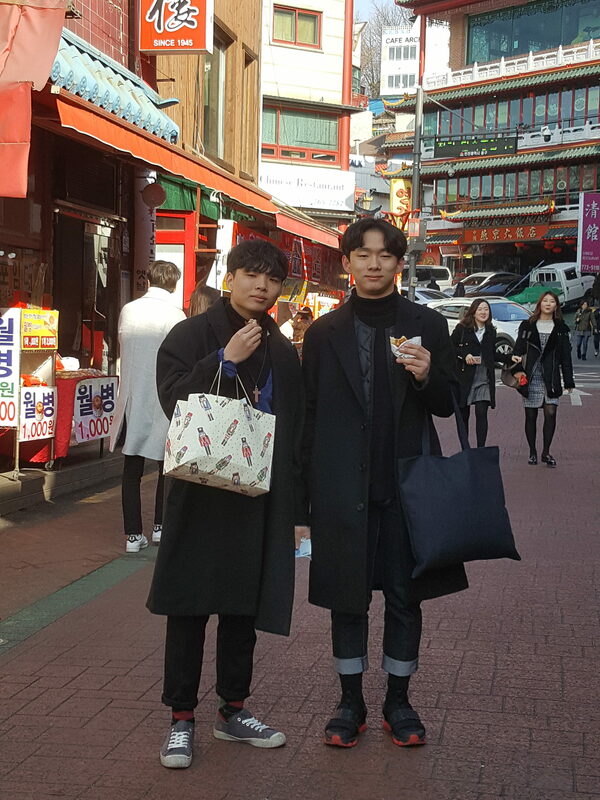 Sunghyun (L) and Taehyun (R) enjoying street food snacks in between their interviews in Seoul for Oak Tree Project’s Mentoring Program. KKOOM partners with Oak Tree Project by providing financial assistance to their programs and events, such as quarterly meetings held for their mentors and college students. We recently sent them funding to plan their 3rd annual retreat to help their iron chef meal activity for 35 young adults, staff, and mentors. We proudly support this organization as they help increase success for Korean high school students beyond graduation and help provide a positive community during their collegiate career. Congratulations Sunghyun and Taehyun on being accepted into Oak Tree Project’s Mentoring Program!